Matthew Mason, a non-degreed alumnus of the USC Thornton Keyboard Studies program, was commissioned to compose a work for the San Antonio International Piano Competition, which will take place this June. Each of the five competition finalists will perform Mason’s commissioned piano work, the world premiere of which will take place at the quadrennial event. Previously commissioned composers have included Lowell Liebermann, Joan Tower, and Paul Moravec. 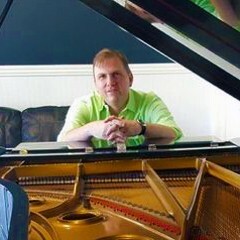 Mason is an award-winning composer and pianist from the Houston area. He is the recipient of the TMTA pre-college composition award for his Nocturne for solo piano and the 2001 Emil and Ruth Beyer composition award for his Toccata for piano. At USC Thornton, he studied with Antoinette Perry.